Sign up to host a fitness fundraiser! Join our mission to end childhood obesity. Help raise money for childhood obesity prevention programs by hosting a fitness class or meet-up to benefit SWEAT MAKES CENTS. Hosts commit to making fitness fun and a minimum donation of $500. What does the $500 commitment get you? 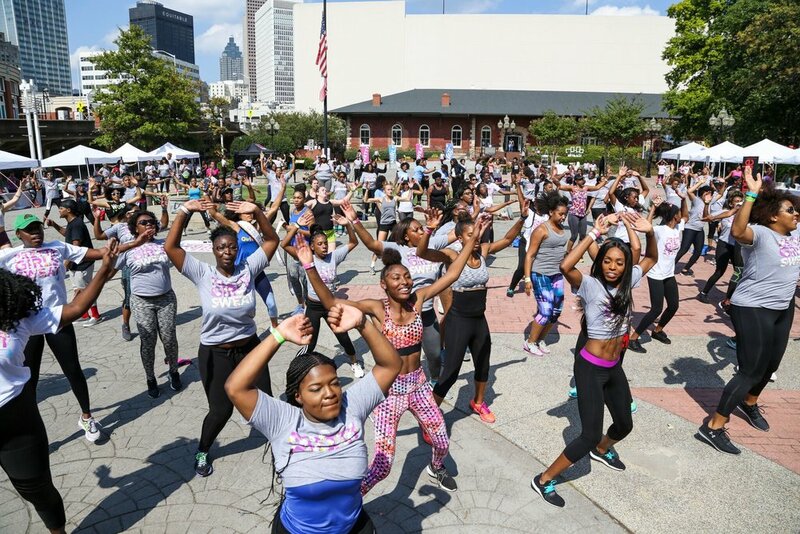 Social exposure of your event on the @prettygirlssweat + @sweatmakescent Instagram pages, your logo on prettygirlssweat.com’s website as a SWEAT MAKES CENTS host, a PRETTY GIRLS SWEAT t-shirt, and acknowledgment that you are investing sweat equity in your community. how do i achieve this goal? To achieve the $500 fundraising minimum, we recommend that you host a workout class, run, or mental health meetup and charge each attendee $20. With only 25 participants, you will make your goal, and we expect participants will want to give even more! $20 will train a youth health leader and will bring us all closer to a world without childhood obesity. Movement Creates Change. Sign up today!